A panda walks into a diner, sits down, and orders a sandwich. He eats the sandwich, pulls out a gun, and shoots the waiter dead. 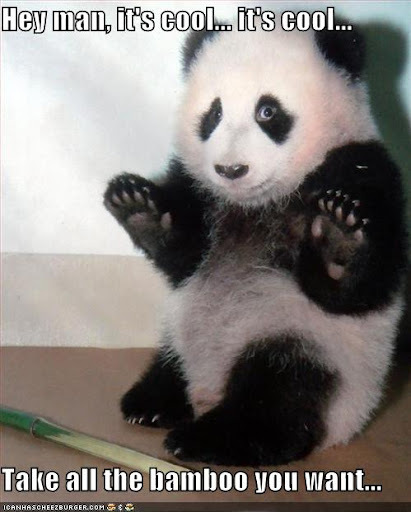 As the panda stands up to go, the manager shouts, "Hey! Where are you going? You just shot my waiter, and you didn't even pay for your sandwich!" The manager opens his encyclopedia and reads: "Panda: a tree-dwelling mammal of Asian origin, characterized by distinct black and white coloring. Eats shoots and leaves."